Thank you for your interest in the Ph.D. 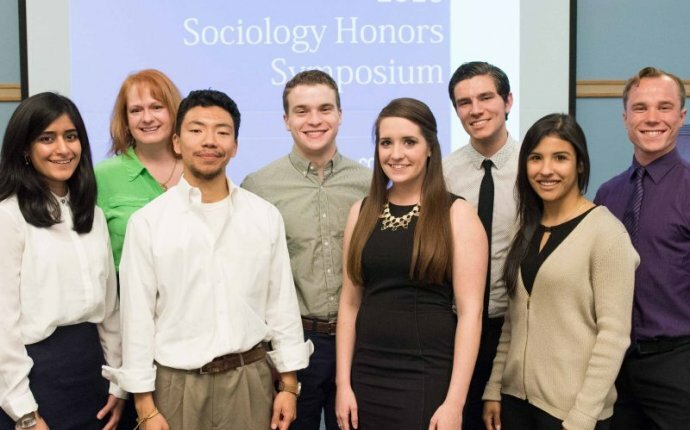 Program in Sociology at the University of Michigan. Though a background in sociology is not required to apply, work in the social sciences or history is helpful preparation for the program. In addition, evidence of the ability to do high-level graduate work is necessary for a competitive application. It may be helpful to know that applicants who have been admitted have undergraduate grade point averages in social sciences courses of at least 3.0 on a 4.0 system, with the mean around 3.5. In recent years, the average verbal and quantitative Graduate Record Examination percentile scores have been above the 80th percentile, although there is considerable variation around this value. Application Period - The application is made available on September 1st, and the deadline is December 15th each year. All materials, including letters of recommendation, must be received by this date.